We know you miss camping in the winter months; those chilly, grey days spent wishfully staring out of the window, harking back to warm summers in the great outdoors where you could fully embrace your spirit of adventure. We also know that winters long nights give you plenty of time to start planning your future camp outs; you’re eager to get your hands on the latest camping kit and gear up for the season ahead! Well this winter, you’re in luck: for the first time, we will be launching our Elite tent range EARLY! Yeah I know, we’re pretty excited too! From the middle of November, our most exclusive AirBeam® tent’s will be available in select stores for your viewing pleasure! 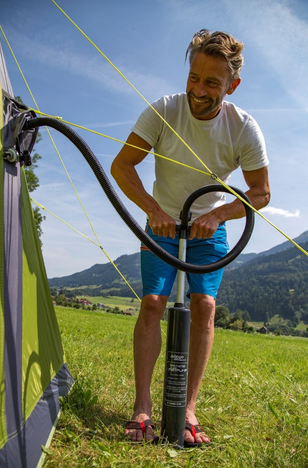 The NEW Vango Double Action Pump will inflate and deflate tents, awnings, airbeds, furniture and any other inflatables you have with ease. For 2017, the pump has been updated with a taller design & new internal barrels which make it even easier to inflate all your air-essentials! 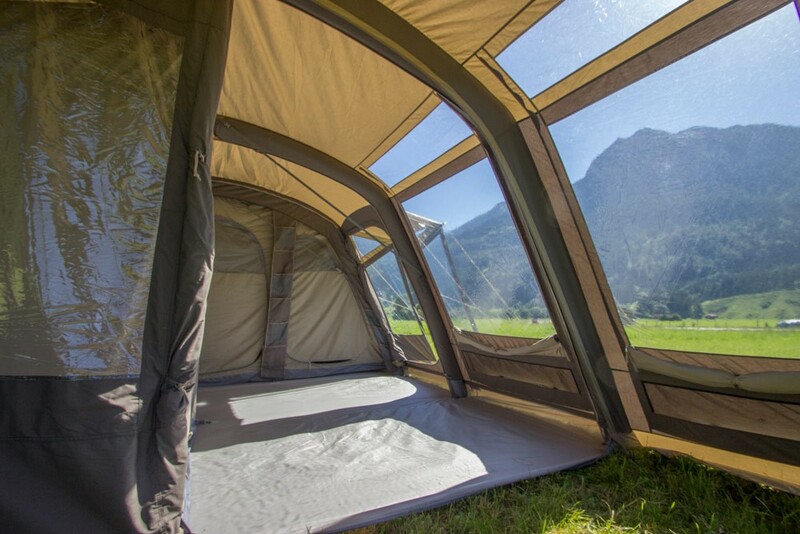 Our new Skytrack™ System is truly innovative to the tent world! 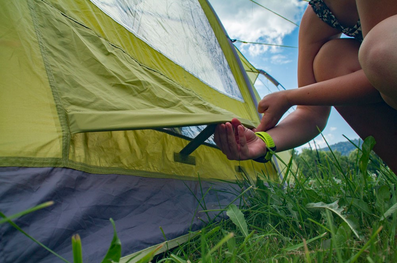 Using our SkyHook’s™, which are included in every Elite Tent, you can attach lighting, run cables or hang storage to any point within the tent simply, meaning you can truly tailor your tent to suit your needs. We know you want to enjoy the views while camping, that’s why we have introduced our new Skylight Windows which run along the roof line of the tent. The Sky Light will flood your living area with light during the day and allow you to stargaze in comfort at night. 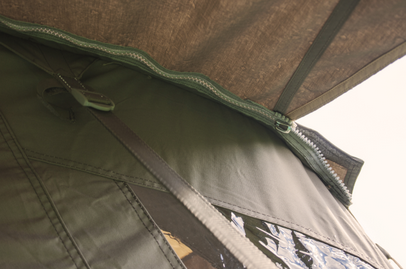 Our new 50% larger vents allow greater ventilation, significantly reducing the chance of condensation building up, providing a more comfortable environment inside your tent. To help better secure your awning or sun canopy, we now designed our Elite tents to feature a full zip attachment. This will allow the awning or sun-canopy to have a neater fit to the tent and, reduce drafts, while streamlining the appearance. With campers taking more electrical equipment than ever before, we have incorporated an extra 2 cable entry points. 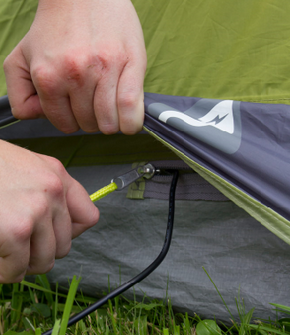 This will allow you to neatly run cables throughout your tent. Furthermore, it will give you more flexibility, as we know how annoying it can be if the cable entry point is the opposite side of the power supply! 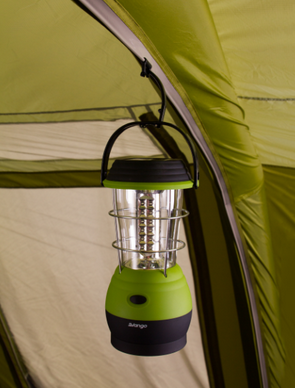 This is only a small glimpse of the features that you can expect to find in our Elite tent range. For more details on our Elite range, click here!